Passed by this building and immediately felt intimidated? Don't worry, we've got the scoop. If you’re headed to Robarts Library, the gym, or even if you’re just headed for class, you have most likely seen the Rotman building in all of it’s glory. If you’ve been curious or even scared to investigate what it’s all about, look no further. Spoon’s got the skinny on all things Rotman MBA. Many people that I’ve spoken with aren’t even really sure what the building has to offer or even that it is the Rotman MBA building. All students are welcome to the building to use their awesome resources or check out their infamous on campus cafe, The Exchange (a personal favorite of mine). Plus, an insider Spoon tip, a killer new patio with a south-facing view of the city. Talk about perks. Make sure to head there during the week though, the building isn’t open on the weekends. Rotman MBA is a huge building and has plenty of open space to study, chill or even meet with friends. Rotman Commerce students (like myself) are known to meet here for group projects quite often. There are two ends, north and south, and have plenty of seats and a blasting AC for the hot summer days. There’s even a fireplace surrounded by comfy chairs for the winter afternoons where you can sit and chat or take a quick cat nap. All in all, pretty extensive and available to U of T students who just need somewhere to chill. Now, let’s talk food. I spent many summer nights chowing down on their menu. The food is pretty top notch and for the most part all under $10. The cafe is designed with all white minimalist type seating and a big glass window for all your people watching desires. The menu rotates weekly, keeping us all intrigued and hungry but keeps our classics for when we’re just craving a an egg & avocado breakfast bagel. I recommend the Chicken Stir Fry, but don’t fret – there’s a vegetarian option as well. If you’re on campus and wanting a cheap meal, The Exchange may be your new spot. We’ve got food, we’ve got study spaces, what else do we need? 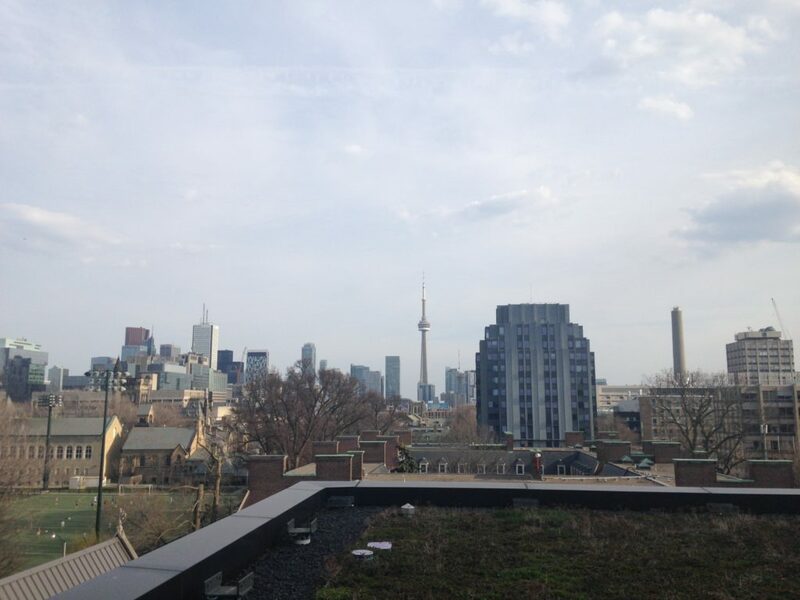 We all know our fave Drake raves about the views from the 6ix, but on U of T campus it’s a bit hard to find these views. If you head up to the 5th floor via the elevator, you might be able to experience this killer sight and even enjoy your lunch on the patio deck. (Courtesy of The Exchange, of course). You’re welcome. So U of T Spooners, what are you waiting for? 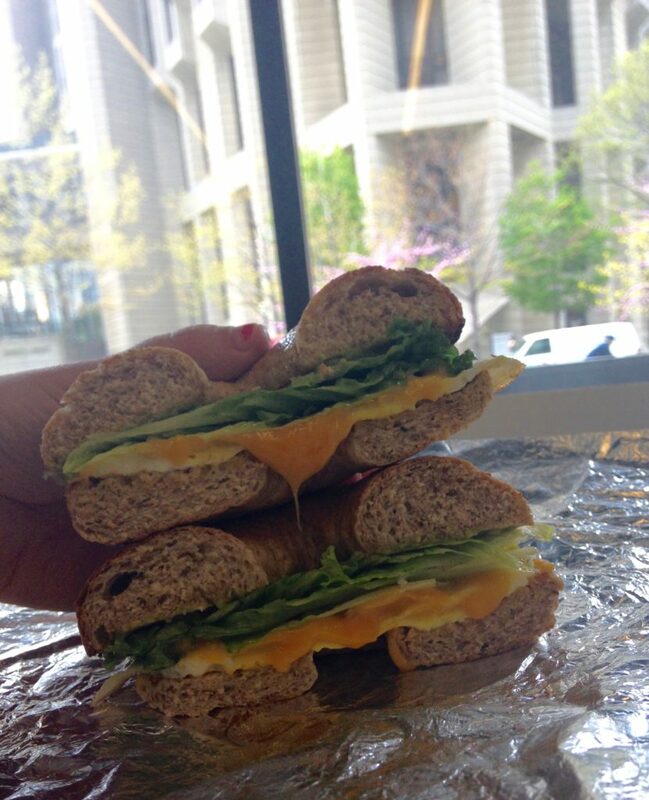 Head to Rotman after class, you won’t regret it.